Yes! Here is the news you have been waiting for! ClearIAS.com has released the official mobile app to help aspirants access our extensive UPSC study-materials from the comfort of your mobile or tablet. That too for free! 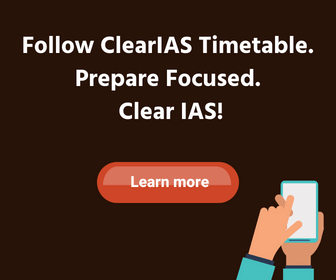 The android version of Clear IAS app can be downloaded by visiting the Google Play store from your mobile or tablet device. 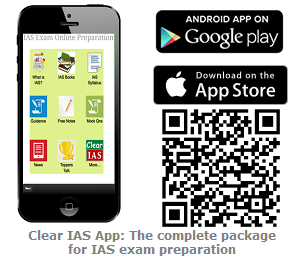 Aspirants can directly download the app from Google Play store using the Clear IAS mobile application download link given here. Alternatively, aspirants can also search using the keyword “clearias” in the search box at Google Play for apps. If you have a QR code reader app, just scan the QR code (given at the bottom of this page) for quick install. What’s new with the Clear IAS Mobile App? ClearIAS.com has been following a responsive design from the beginning, which made us accessible across all devices sizes, including desktop, laptop, tablets and mobiles (through the url : www.clearias.com). Though most of our users access this website from bigger screen sizes devices like desktop or laptop, our user base from small screen devices has also been rapidly increasing. We provide this application free of cost to our mobile and tablet users, with enhanced features in a reader-friendly format. Users can now download and install this application (app) in their handsets, and access the features using the touch interface. ✓ Read news from all major newspapers at a single place, no need of separate apps. ✓ Shop online the recommended books for IAS exam. ✓ Toppers interviews, mock exams and lot more. PS: The official Android version of Clear IAS™ mobile app has many features useful not only for the IAS/IPS/IFS aspirants who write the UPSC Civil Services exam, but also for all, who look for quality information. 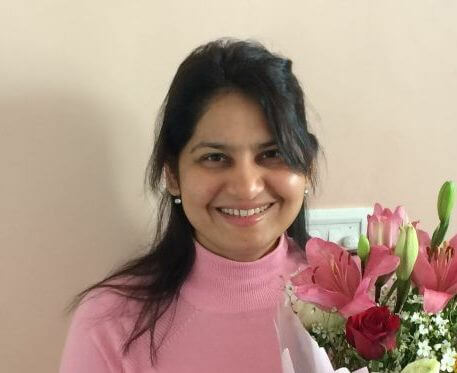 Install Clear IAS™ app to clear IAS! NB : The Clear IAS android application is compatible only with android phones running on android OS 2.3.3 and above. 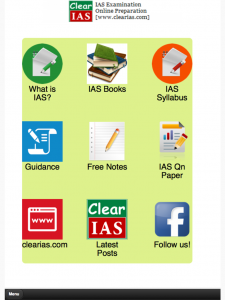 How to download and install Clear IAS Mobile App? iOS users: Yes, we have our iPhone App ready (Update: April 8, 2015): Click to download Clear IAS app on App Store on Apple iTunes. PS : Please don’t forget to add your reviews and comments here, as well as in Google Play store. Thanks. Please launch iphone app for clearias asap!